NEW BRITAIN - There were tears and words of gratitude at Jerome Home & Arbor Rose during a ceremony in which residents who served in the military were honored. 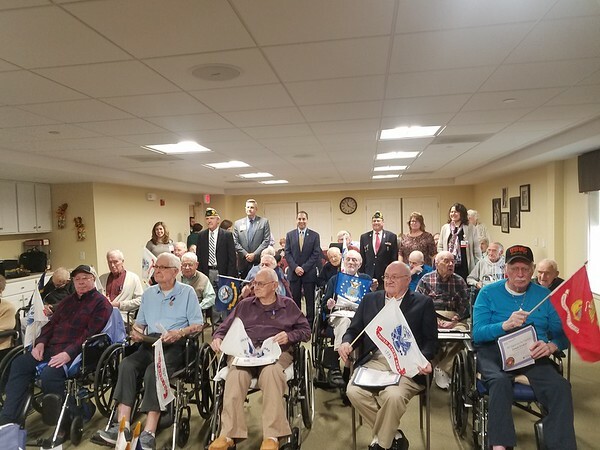 Twenty-four residents on Thursday were given a service medal, two certificates and a flag representing the branch of the military in which they served in recognition of their service to the nation. Thomas Saadi of the Connecticut Department of Veterans Affairs was present at the event and said that he was proud to celebrate all veterans. 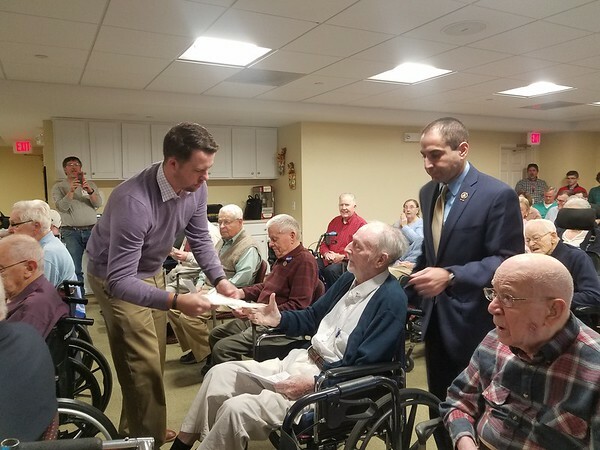 Saadi and Ryan McKenna, manager of advocacy for the Connecticut Department of Veterans Affairs, handed out the service medals and one of the certificates to each of the residents who were honored during the event. “This medal is modeled after the medal that was given to those American troops who returned to Connecticut after serving in World War One in Europe,” Saadi said. 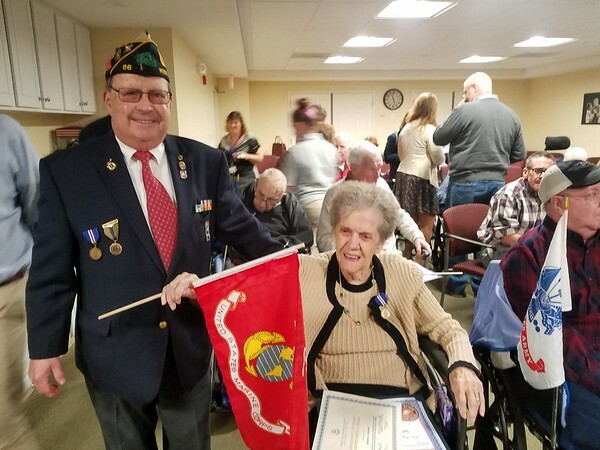 Sherri Vogt, a veterans’ aide who attended the event of behalf of Elizabeth Esty’s office, presented a certificate and a flag to Norko recognizing the senior services offered by the institution. Wayne Rioux, veterans liaison of Hartford HealthCare, along with Jeffrey Cole, commander of American Legion Post 96 in West Hartford, explained the symbols of a table that was set up to remember the veterans who are gone. Rioux said the table occupies the dignity and honor. “It is set for one, symbolizing the fact that members of our armed forces are missing from our ranks,” Rioux said. The tablecloth was white, symbolizing purity. There was a single red rose, signifying the blood that they may have shed. The table also had salt, a slice of lemon, a bible, an inverted glass and an empty chair, each symbolizing things that veterans go through. To learn more about Jerome Home & Arbor Rose call 860-229-3707. Posted in New Britain Herald, New Britain on Monday, 5 November 2018 20:55. Updated: Monday, 5 November 2018 20:58.